St. Hilda of Whitby Anglican Catholic Church - Your Spiritual Home - Who Are We? The word "Anglican" means English. 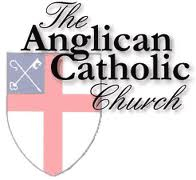 THE ANGLICAN CATHOLIC CHURCH is so called because it adheres to the Catholic Faith as it was received by and from the CHURCH OF ENGLAND in the days of its orthodoxy. To understand this, it is necessary to recall the origins of Christianity itself. Founded within Judaism by Jesus, the Christ (or "Messiah"), the Christian Church quickly came to embrace Gentiles into its fold. Endowed by Christ with the Apostolic Ministry, it survived the destruction of the Jewish Temple in AD 70, when the Jewish priesthood came to an end. During its very first century, the Church came to describe itself as Catholic. In the ordinary sense this word means "universal". In Church usage, however, it means "orthodox". This meaning is clarified in what is known as the Canon of St. Vincent of Lerins, who defined the Catholic Faith as, "That which has been believed everywhere, always and by all." (i.e. universally) within the undivided Christian Church. The Catholic Faith is, therefore, that Faith foretold by the ancient prophets, revealed in the person of Jesus Christ, proclaimed by his Apostles, recorded in the Scriptures of the Old and New Testaments, taught by the early "Fathers" of the Church (many of whose splendid writings still exist), defended by the seven great Ecumenical Councils of the undivided Church and expressed in the Apostles' Creed, the Nicene Creed and the creed of St. Athanasius. Until 1054 there was only one Christian Church -- the CATHOLIC CHURCH. Its leadership was centered in five great Patriarchates -- Jerusalem, Antioch, Alexandria and Constantinople in the East and Rome in the West. After the Roman Empire became Christian some bishops increasingly became involved in political matters, and the bishops of Rome in particular began to claim power over the whole Church. This led to a tragic division in the Church, the "Great Schism" of 1054, when it split into the "Orthodox" East and the "Roman Catholic" West. As the ANGLICAN CATHOLIC CHURCH is derived from the CHURCH OF ENGLAND, it is necessary to look briefly at the origins and development of English Christianity. In its infancy, the early Church spread from Jerusalem around the Mediterranean regions, and then to other parts of Asia, Africa and Europe. Britain was, at that time, a part of the Roman Empire, and Christianity probably arrived with merchants and seafarers. By early in the 4th century the British (Celtic) Church was sufficiently strong to have a number of bishoprics: in the year 314 three British bishops participated in the Council of Arles, summoned by the Emperor Constantine. Upon the departure of the Roman Legions in the 5th century, the southern parts of Britain were invaded by Angles and Saxons, who drove the Britons and their Church into the safety of the western hills (Wales) and Cornwall. Although actually seven different kingdoms, from this time the southeast sector occupied by the Anglo-Saxons began to be called "Angle-land" (later contracted to "England"). In 597 a new Church mission headed by St. Augustine arrived from Rome. Augustine's claims to jurisdiction were rejected by the British bishops, but he succeeded in re-establishing Christianity in parts of the south of Britain. Meanwhile, Christianity was being spread in the north by Celtic missionaries -- notably St. Columba of Iona and St. Aidan of Lindisfarne. Representatives of the Celtic missions in the north and the Latin missions in the south of England met at the Synod of Whitby in 664, and amalgamated to form a single Church -- the CHURCH OF ENGLAND, with dual primacies at Canterbury and York. The unity achieved was particularly due to St. Hilda, Abbess of Whitby, a remarkable scholar at whose monastery the synod was held. For the next 400 years the CHURCH OF ENGLAND (like the Eastern Orthodox Churches) remained in communion with, but not under the formal jurisdiction of, the See of Rome. Although imposed by military force in 1066, papal jurisdiction brought certain benefits and so for a time was accepted. These benefits included a revival of scholarship, efficient administration and international support for the bishops when they found themselves in conflict with the state.